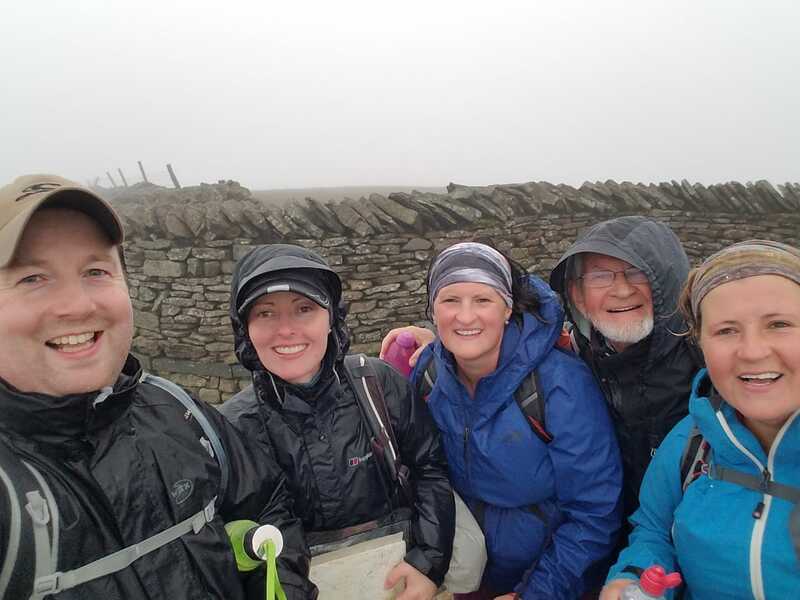 Many thanks and congratulations are due to Rachel Melling for walking the Yorkshire 3 Peaks on August 26th to raise funds for the Pilgrims Project. Rachel raised over £1,000 for the project – £1,200 when allowing for Gift Aid. This 25 mile hike covers Ingleborough, Pen-y-ghent and Whernside. It took over 14 hours in the end, as the weather was so hideous and really slowed them down. At times, visibility was down to only 300m, and the last 3 miles was walked in the dark. Thank you to Rachel and her support team for a fabulous effort, and to everybody who sponsored her. Although the walk is over, it’s not too late to sponsor her, using the button below.